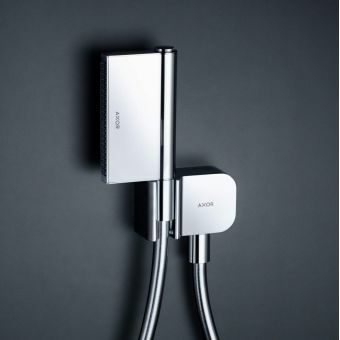 The Axor One represents the next evolution in design for both Hansgrohe & AXOR. 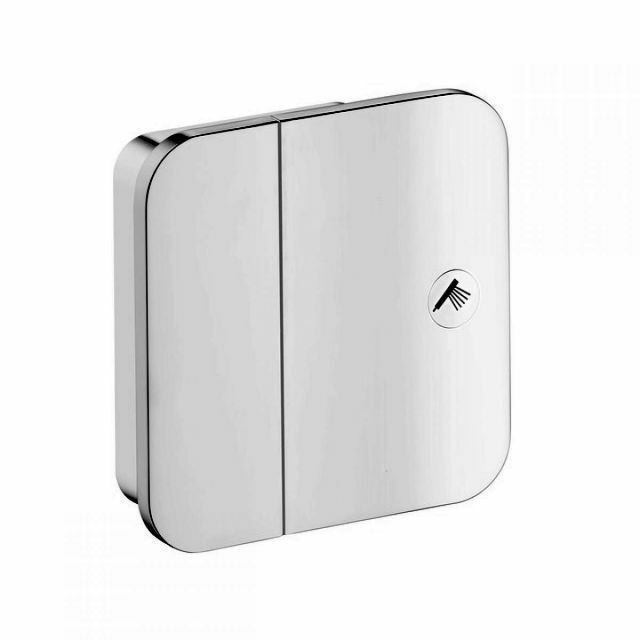 This valve utilises to greater effect the Select function previous incarnations of Hansgrohe valves have used. 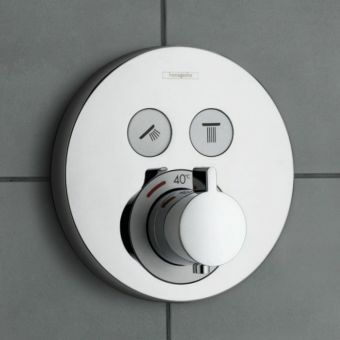 Making it easier to control your shower, whilst updating the aesthetics of the shower valve. 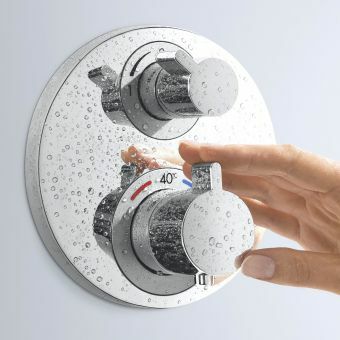 With the new large paddle its as easy as a click to stop and start the valve, you can even do it with your elbows! 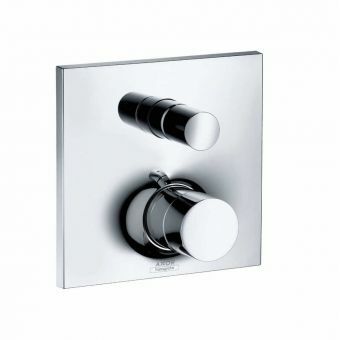 Hansgrohe is rightly placed as one of the very best global creators of bathroom components, brassware and equipment. 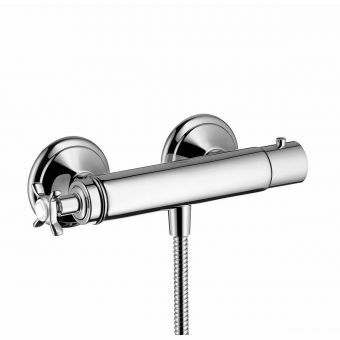 Coming from the finest pedigree of German engineering and design, their ranges represent the very best on the market at the moment in terms of function, reliability, efficiency and a strong visual presence for the modern dwelling. Putting full control over the shower system into a single switch makes life so much easier, especially for anyone with any kind of mobility challenge. 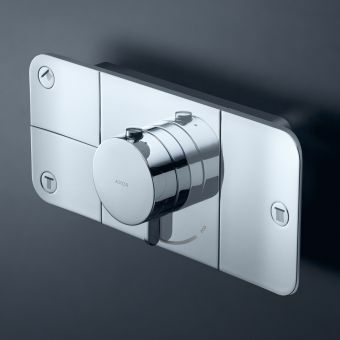 Taking the shape of a large and simple select paddle, the AXOR One Shut-Off Valve allows you to turn the shower outlet on or off at a single touch. 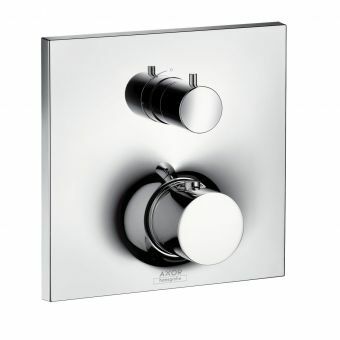 Designed to run a single outlet, this switch can be paired with a Hansgrohe Basic set to give you an additional level of functionality. 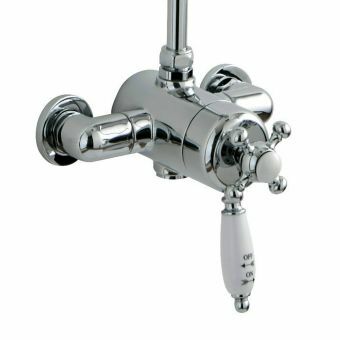 Provided in a wide spectrum of colour finishes, from classic Chrome to Polished Black Chrome through to Brushed Bronze, this is an item that can integrate seamlessly with other similarly styled components for a streamlined, uniform appearance.